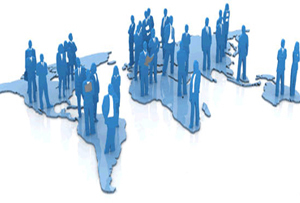 Hindustan Global Software Technologies is providing Offshore outsourcing services Since 2011. Offshore outsourcing to India is very crucial now a days as it has become a significant business strategy which not only helps to cut cost, but also helps to be globally competitive. If you are looking for high quality software development at cost effective rate than India is best place for offshore outsourcing HGS Technologies provides offshore software development services like custom application development, Mobile Apps Development, web development and web design, Search engine optimization[SEO] Services, Social Media Marketing[SEM], product Development, Application Maintenance and Testing Services etc. to clients in all over world. HGS Technologies, engagement model is based on customer requirement. We provide services on fixed cost model as well as time and material model. We serve vast range of industry which is reflected in our portfolio. Cost effectiveness, high efficiency, best-of-breed infrastructure and thoroughbred professionals, make the obvious destination for Outsourcing. In the present global market scenario, you have to outpace your competition to retain your existing customers and grab new customers. HGS Technologies is a decade old, pioneering offshore outsourcing company specializes in providing professional, cost-effective offshore outsourcing services to customers across the globe, helping them to achieve their strategic business goals through our technical ingeniousness, proven domain expertise and Project Management skills. Our client-centric offshore business model will help you attain the standard of excellence that address your overall offshore development requirements and create value and sustainable competitive advantage.With our Virtual Offshore Development Centre working for you, you complete all the tasks and still have time to grow your business. We appoint dedicated, capable, diligent and skillful staff to provide optimum value and service to our customers. Their commitment and sense of responsibility help to generate a synergy that will enable you raise the standards of work to a more productive level. You can look forward to a dynamic co-ordination and accelerate your way towards growth and expansion. Software Development in Microsoft .NET, Java, Linux, Apache, MySQL, PHP High end software development with Oracle, Telecom, Embedded and Open Source Platform. Web Design & Development with Web 2.0 Standards, DIV / CSS based Websites and Unique Customizable Designs. Web Application Development using ASP.NET, PHP, WordPress, Joomla, osCommerce, Microsoft Sharepoint, Cold Fusion and much more. E-Commerce Development & Shopping Cart Integration. Mobile Application Development Services including iPhone / iPad Application Development, Android Application Development, Blackberry Application Development, Symbian OS Application Development and Mobile Website Design & Development. SEO / SEM / SMM Services for Search Engine Rankings, Optimization, PPC, Link Building, Social Media Marketing, Web Analytics Services and much more. Content Management Services - Our Open Source CMS is very good content management system developed in-house. It gives our customers flexibility to create dynamic database driven websites and to manage it effortlessly.